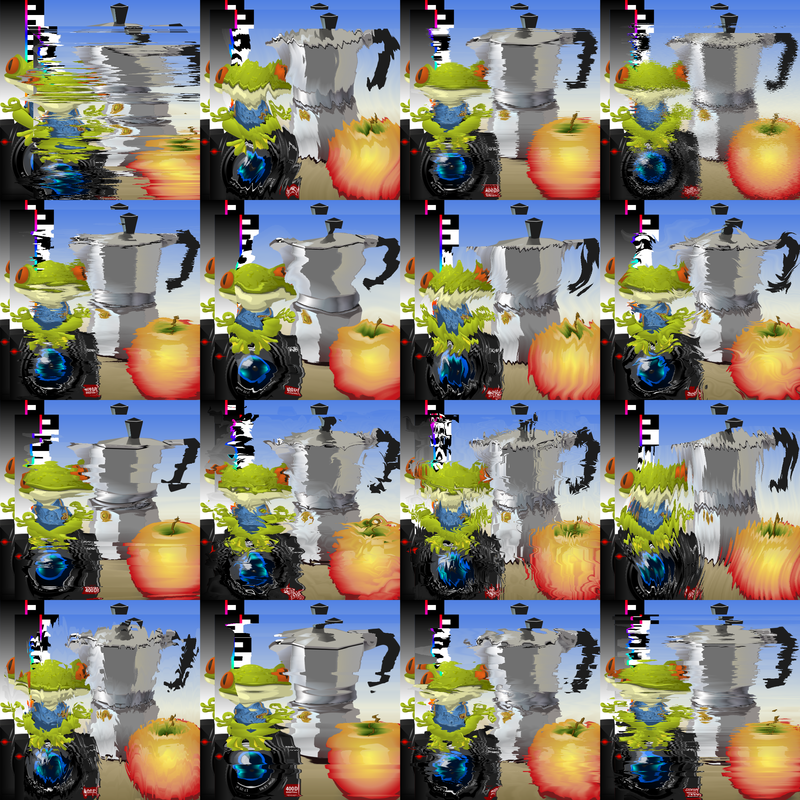 Was trying to make a kaleidoscope but somehow chrome doesn't like the filters transformed. Also they cannot be as complicated as a static one because it would lag too much with the rendering. The rabbit eye should be animated with fluent transitions, however the second one is not. It has a turbulence filter's seed animated, which sticks out way more. Tried the same filter animation on a monoscope/testscreen. With no alteration in the timestamps it renders off time. Somehow the rendering speed is altered by the size of the filtered area though it doesn't seem too complicated rendering a static noise alike. Maybe it wasn't a good idea posting these atop of this third page. Will see how the rendering of the embedded svg-s turn out. Just discovered Ctrl+Alt+Shift+drag for rotating gradients by 90°... None of the shortcuts I found does restrict the gradient's length, though. How did you apply the gradients so exactly? Didn't know about that shortcut. Snapped the gradient handles to position. 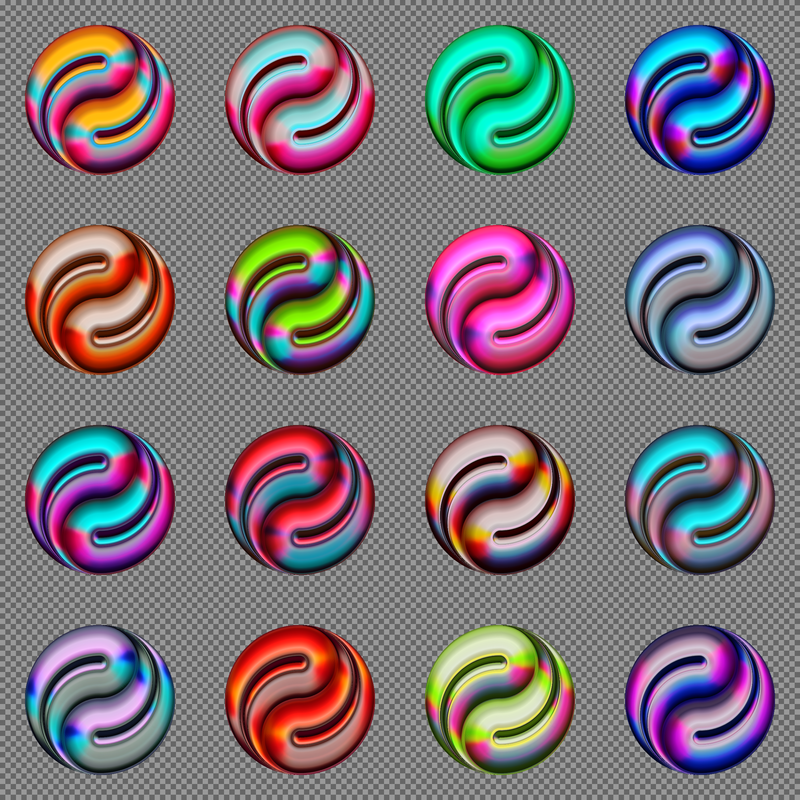 grouped them together and added the gradient with snapping to the group. 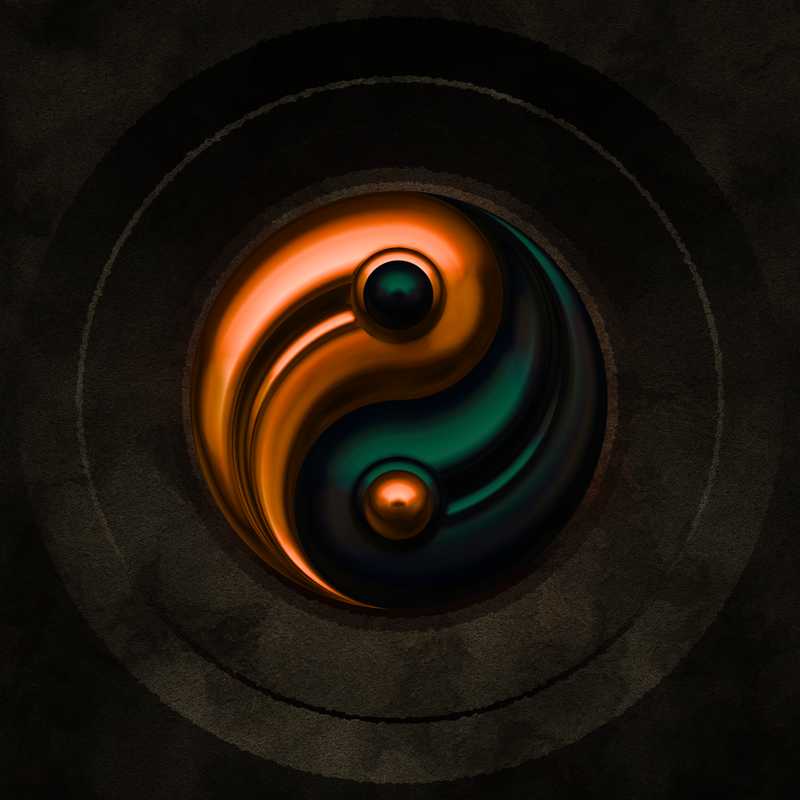 After that, ungrouped the object and rotated everything back to the original position. In the drawing process after, had to rely on pasting style from one object to another -which wasn't that easy because at some point random transformation messed up the placement. Inherited by layer/group transformation that I couldn't get rid of first place. Ended up creating a new layer for the problematic parts. Thanks, Lazur! Takes a lot of thought beforehand to make such an animation. @brynn: that would just be common sense - any file you download can be malicious. There is no such thing as a safe file, that comes from an unknown source in the internet. The only thing that helps is keep the software on your PC up-to-date. Virus scanners are mostly for 'feeling safe' - if there's something they haven't seen yet, then you're out of luck. But they do give some protection against known threats. Moini wrote: @brynn: that would just be common sense - any file you download can be malicious. There is no such thing as a safe file, that comes from an unknown source in the internet. The only thing that helps is keep the software on your PC up-to-date. Virus scanners are mostly for 'feeling safe' - if there's something they haven't seen yet, then you're out of luck. But they do give some protection against known threats. Seems I ended up in the wrong tab. You asked a question about scanning for malicious files somewhere, brynn. Ah, I was on page 1 of this thread, and thought it was the last one. Couldn't yet figure out how to disable y displacement for the wave distortion. For the imput, set blue for y in the displacement filter primitive's settings, and used a component transfer on a fractal noise, with the component transfer setting the blue channel to discrete 0.5. But still no good. Made two more hatched-halftone animations. The latter only animates the halftone pattern. Can't help the flickering of the rendering. I see You use SMIL to animate them. You know, You could save as "to optmize SVG". In that way You could reduce the size of the SVGs. Don't think it would improve the rendering speed though. If anything, decreasing the number of decimals may have a very small effect. 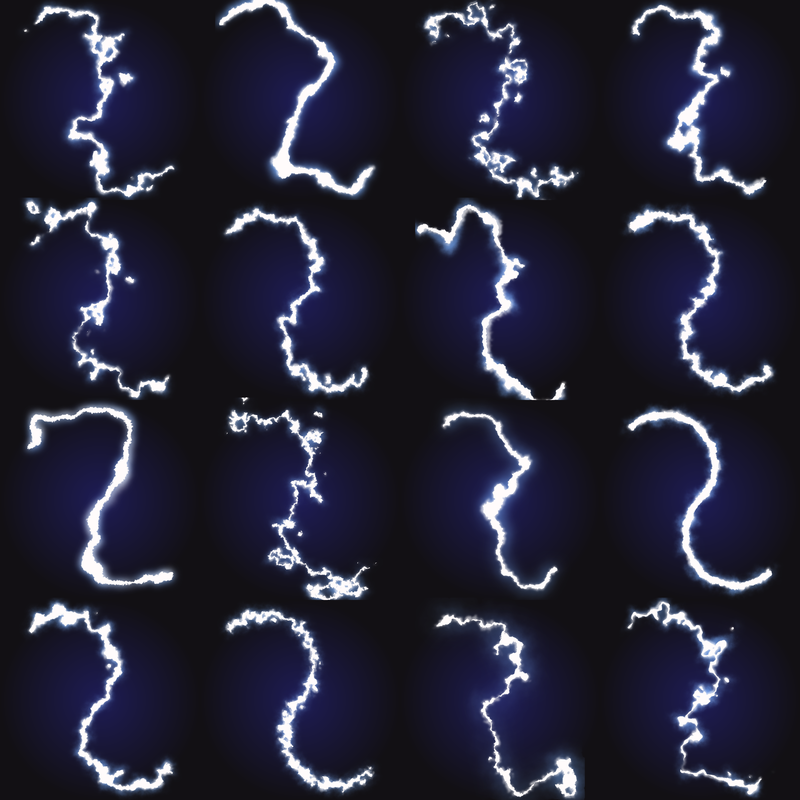 Mostly it's the turbulence and the displacement map that is slowing down the animation. Also the rendered area is related as a smaller image renders much better. Speaking of this recent one, had to scale it to 400 px width because 800 px wide image didn't "move" at all. Diffuse filter pack, although this one uses one light direction instead of the original four. Looks expensive, somehow. Impressive work, Lazur! 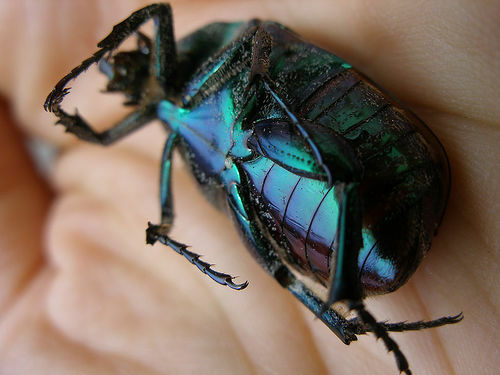 Eosin glazing is pricey, yet the same gloss can be seen on small bugs as well. 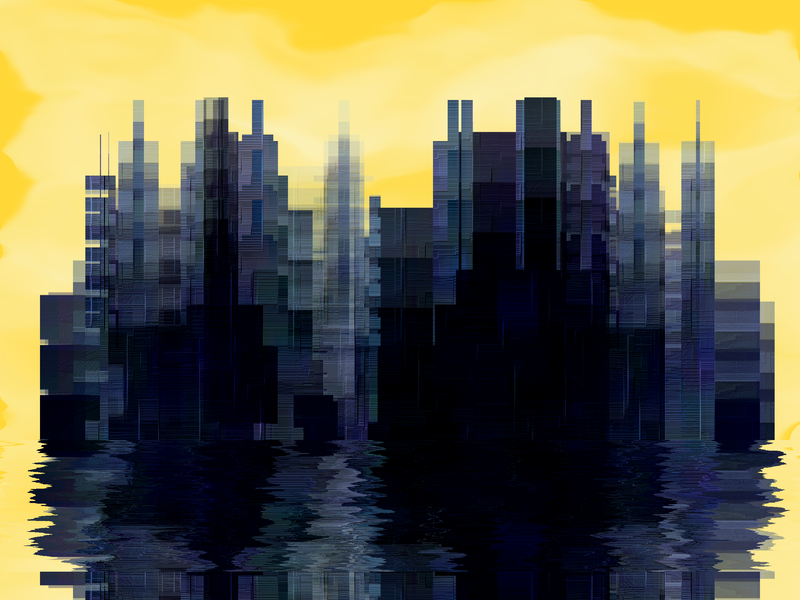 Will have to look at more reference images next time for a more specific effect. 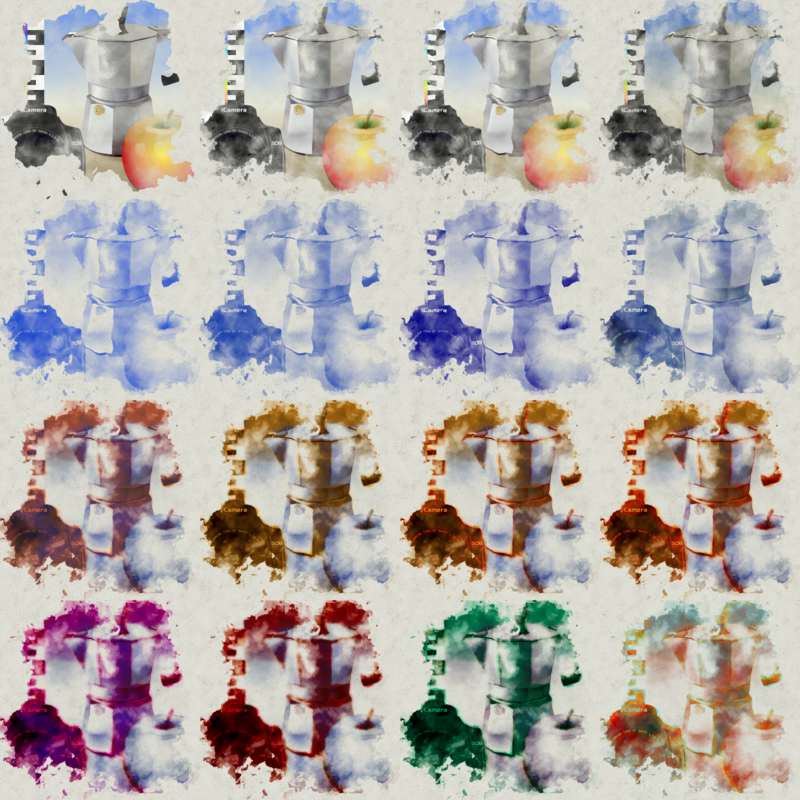 Filter pack of various watercolour effects. 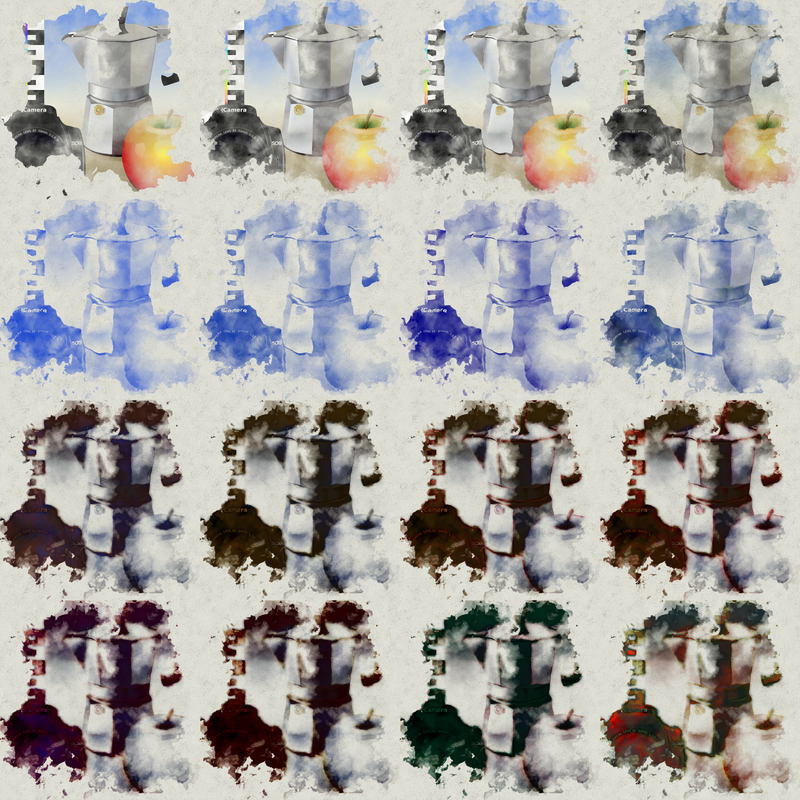 Openclipart uses a previous inkscape version to generate thumbnails, so made an export for the intended look. Issue is probably related to component transferring and the alpha channel.